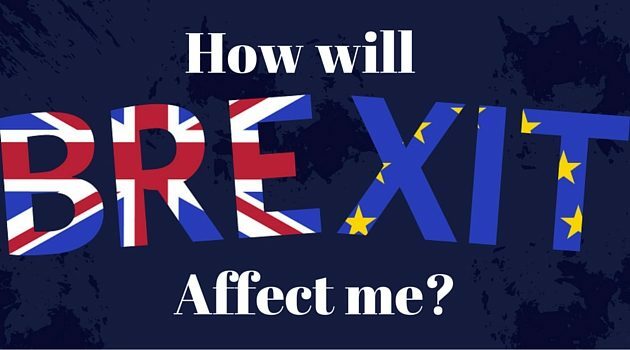 Kemp Financial | How Will Brexit Affect my Money? 05 Jul How Will Brexit Affect my Money? Can anyone tell me what Brexit is? And after you google it and find out that answer, can you tell me exactly what it means? Now, the reason I ask those questions, and yes in a sarcastic tone, is to make you realize that this is something many Canadians know very little about, and have absolutely zero control over. So, for something that we have absolutely no control over, my next question is, why are we so nervous about it? Well, I guess we are always nervous about things we don’t fully understand and the media does a fantastic job of putting these worrisome thoughts in our minds that the end is near and there is nothing we can do about it! Please, please, please remember to block out this noise and stick to your game plan. CBS News has done a great job of explaining what Brexit means to Canadians and how it might “hurt” our pocketbooks, but as you read this top to bottom, you will realize that it’s not as bad as you thought and this is just another hiccup in the investment world that WE WILL get through. For you basketball fans out there, let’s look at the Cleveland Cavaliers and their victory over the Golden State Warriors. They came back from a 3-1 deficit to win the NBA championship over the greatest regular season team of all time, winning two of their last three wins on the road. How in the world did they do this when no one in NBA history has ever done it before and how did they do it against the greatest regular season team of all time? Having Lebron James doesn’t hurt, but the reason is they had a game plan they trusted and they executed it with the ultimate confidence that it would work. Being down 3-1, the easy thing would have been to change up the line-up, go away from the double teams, stop attacking Steph Curry, etc. And no one would have blamed them because it didn’t work in the first 4 games so make a switch for game 5-7. But they didn’t, they had faith in their preparation and believed that what they had put in place would work. Nothing should be different with your overall financial plan that you have in place with your trusted advisor. Sure, there will be slight changes to the specifics of the plan that will have to be updated along the way, but the overall design should stay true to form. Trust your original judgement and ride the wave.